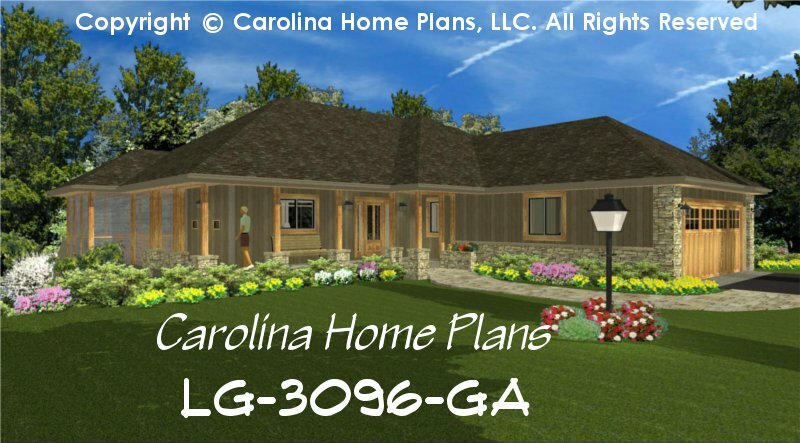 This large hillside contemporary ranch features 10' great room ceilings, transom windows and a spacious open floor plan layout. 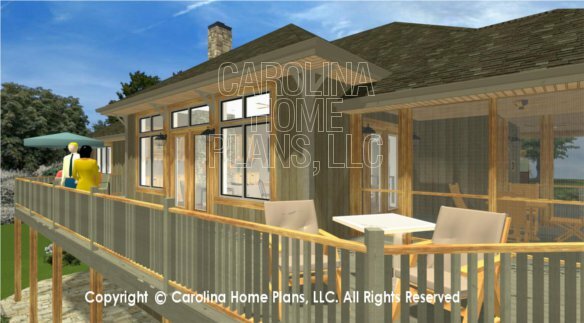 A wrap-around porch, large screened porch and back deck enhance this ranch home's livability. 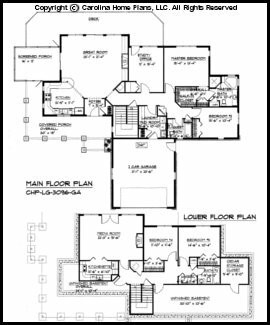 Convenient access to a well-appointed lower level makes this contemporary open floor plan ideal for large families or visiting friends and relatives. 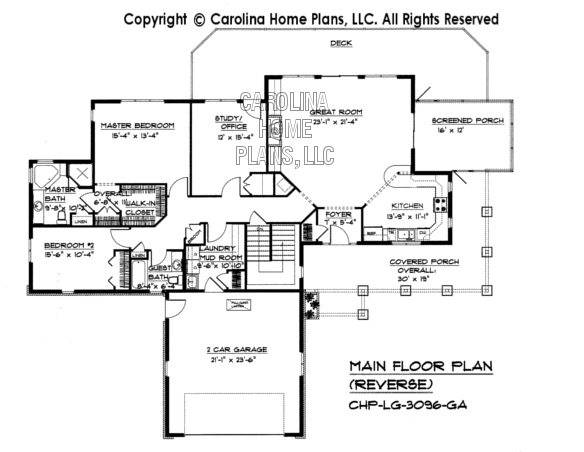 The main floor provides 2 bedrooms + study, 2 baths, a large laundry/mud area and abundant kitchen cabinet space. 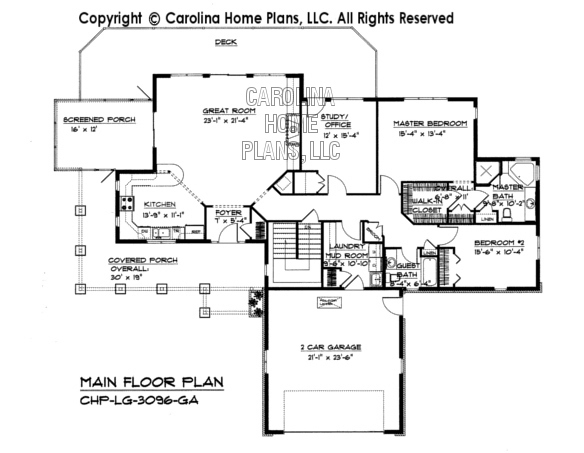 The 2-car garage, conveniently located off the mudroom, also provide attic access for ample storage. 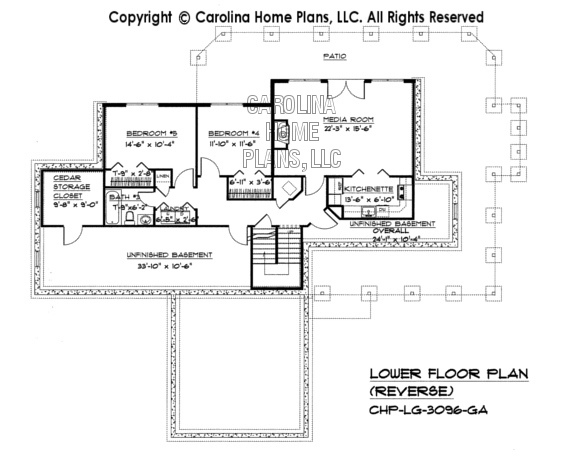 The lower level boasts a kitchenette, media room, 2 bedrooms, 1 bath, cedar closet, additional laundry, as well as unfinished basement space. 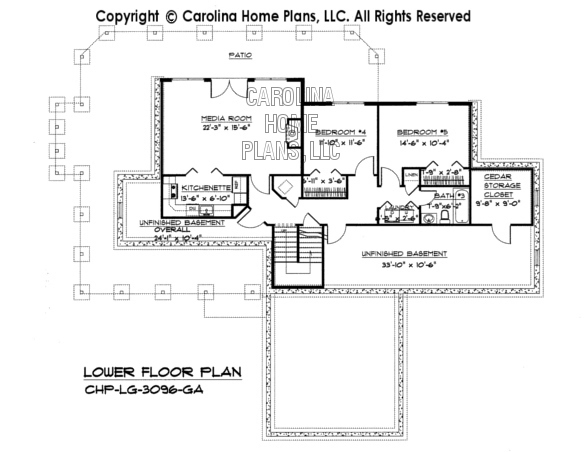 Well suited for sloped lots, this large open layout contemporary house plan is an ideal choice for hillside properties. Available options and pricing: See below.